Daily Burn Reviews: Is The Cost Worth It? | Does it Work? no consumer review so far - Write your own review now. Daily Burn Reviews: Is The Cost Worth It? Dying to get back in shape? With the help of the virtual fitness service Daily Burn, you won’t have to leave your home. Find out how this online gym works and whether it's worth it for you. Have you used the Daily Burn? It might be the drive to the gym, or maybe it’s the smell of sweat. You have decided to avoid the gym, and you know it. Our team at Doesitwork absolutely agrees with you- traditional gyms do have some drawbacks. So it’s definitely time for something new. The Daily Burn website offers a new digital way to work out at home. You burn calories chatting with other people that work out, while comparing results. You have access to healthy recipes delivered constantly. It sounds like a social media spot for people wishing to stay healthy and in shape. This concept has revolutionized the way people see working out. You can even choose to have your own personal assistant, and you get your own personalized exercises. 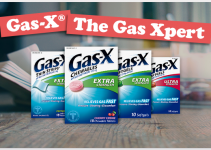 Our team at Doesitwork spent the last few days researching this website, and all the good and bad that comes with it. We have to admit, it sounded like a really creative approach to working out. The founders of this webiste offer so many different programs to choose from, and they all come with a promise of helping you create a great looking and fit body. You still have the chance to chat with other people, or you can choose to work out alone. What most people appreciate about this app is the low monthly cost. It is a new, digital way to experience the gym like never before, you feel like you’re a member of a digital gym and hopefully adopt a healthy lifestyle. All that while you socialize and burn calories. Our team at the Doesitwork lab decided to do some research and discover if it’s worth it. Should you give this digital gym a try? Will it be everything you ever needed to get fit? Read on to find out what we discovered. How does Daily Burn work? If you like the suggestion go with it, otherwise you have 18 workout programs to choose from. You can set yourself on fire with their ultimate Inferno and Inferno HR programs. Or you could opt out for their 365 program that will get you in shape gradually. Every day for a year! Other programs include Pilates, Cardio, Core, Live to fail, Beautiful Belly Yoga, and many more. This means the programs are suited for absolute beginners and fitness pros. According to what you need and what you’re interested in. Pregnant women can take part as well. Will Daily Burn hold you accountable? After you choose the workout you desire, all you need to do is be responsible and persistent. You will definitely see results. The problem arises when you lack motivation, or you simply don’t feel like doing it. Aside from some notifications you’ll get to remind you of workouts, you’re on your own. You’ll need to rely upon yourself to get to the better shaped you. Most of the classes don’t require any equipment. For the ones that do, you’ll need to buy it from their online store. If you’re interested in buying some exercise equipment for your home, we’ve tested a few popular products on the market. So before you make any decision, check out this Sit N Cycle review and our Wonder core review. If you’re looking for a more passive workout, the Slendertone might be the product for you. In order to become a member of the online “gym” you are given the option for a 30-day free trial workout. After the trial if you wish to continue sweating, you’ll have to cough up $14.95 monthly for the basic plan, or $26.95 for the premium plan. You can also hire a personal trainer for an extra $15 a month. Getting extra equipment and/or supplements will raise the amount you pay for your workout, but if you’re set to succeed you’d be paying for supplements anyway. For the equipment, such as dumbbells or weights you decide whether you need them or not. What you get in one month of a basic subscription? What about the premium subscription? If you feel this virtual stuff is not your cup of tea, you might find it difficult to cancel your subscription, BEFORE you get charged for the next month. You know “there ain’t nothing in this world for free.” So it would be a good idea to cancel a bit early to avoid frustration. Does DB require equipment? Most of the programs don’t require equipment, for the ones that do, there is an online store. Does DB work on Roku, Apple TV and Google Chromecast? It works with Roku, it’s very easy to set up. All you have to do is follow the instructions on your Roku device to obtain an activation code. Once you’ve got it, hit ‘activate’ and you’re ready to work out. Apple TV works with it as well. They have an app for it that you can download. Once you open it you can create your user account. It will work with Chromecast for sure. You’ll need to hook Chromecast into your TV. After that it’s simply a matter of following the instruction steps. You’ll start streaming from your computer, Android or IOS devices in no time. Is it free with Amazon Prime? Daily Burn is not free with Amazon Prime, BUT you could purchase Amazon Coins and save up to 25% on the Daily Burn app and its in-app items. 100 Amazon Coins equal $1. They’re a digital currency invented by Amazon. You get them in order to receive discounts for Android apps, games and in-game items. The more Coins you buy, the greater the discount. Does Daily Burn have spin classes? No spin classes but in the Burn library you’ll find over 20 programs including Pilates, Yoga, Cardio Sculpt and Daily Burn 365. They also boast their Bowflex Max Trainer, a famous tread climber that offers Bodyweight, Base, Build and Peak workouts. If you’re keen on spin classes, read our Peloton Cycle review, which is focused on virtual spin classes. This type of workout came as a collaboration between Daily Burn and Nautilus, popular fitness equipment manufacturer. On January 17th, 2017, they joined forces to serve you with expert workout advice, among other things. This is a combination of fitness equipment that you get in your home, and virtual classes. 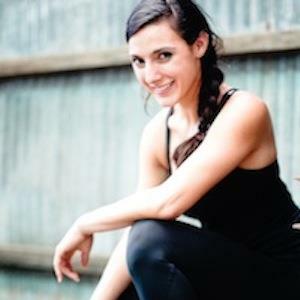 You’ll be in the safe digital hands of Tom Holland and Amy Dixon, professional fitness advisors. Yoga classes? Yes, yoga classes are available. You can choose between Yoga made simple, and the classic approach. Pregnancy workouts? They are absolutely available. The people at DB have an article regarding this option, “The Pregnancy Workout You Can Totally Do”, and it’s named Beautiful Belly Yoga. Zumba? Instead of Zumba, you get the option to “Dance yourself into shape” with their “Move” routine. You’ll shake your bottom to the tunes of Latin, Caribbean, Bollywood, 90’s Hip Hop and much more. How to cancel my subscription? You will need to log in on your web browser of your computer. Deleting the app doesn’t cancel the subscription. After you log in, click on your profile name and then click ‘Account Settings.’ After that you’ll need to click the ‘Manage Subscription’ button, go to ‘View your options,’ tell them why you’re canceling, and ‘Continue’ with your life. But not before you select Confirm Cancellation and hit ‘Cancel my subscription’. There is one final Confirmation pop up, you click YES and you’re DONE! If you choose to end the subscription a week before it ends, you can still use your app until the last day. Among the positive mentions are the people that got in shape (or are getting there), feel happy about their routine, don’t mind the monthly fee, and see this as a way to socialize with other people that enjoy working out. When it comes to the other side of the coin, not everyone feels like their free trial was actually free. When going through hundreds of reviews our team noticed a lot of people had trouble canceling their subscription before the 30 day free trial was over. The thing is, after you cancel your subscription, your cancellation is pending for some time. So while you wait for your cancellation to be approved, you might get charged for the next month. That sounds so wrong and they need to do something about it. Otherwise it just sounds like shady business. It’s not a good idea for people that lack motivation. It definitely works for anyone that is responsible enough to follow the workout routine. They have plenty of different programs made for beginners, intermediate and professionals. You get trainers and instructors that have been in this industry for 20 years and more. Is Daily Burn worth it? We highly appreciate the idea of a digital gym, and while we recognize it won’t be everyone’s cup of tea, it’s definitely worth checking out. For the price you pay, you do get quite a lot. But maybe after you sign up, just remind yourself why you don’t go to the gym in the first place. We’d love to hear from you. Let us know what you think about Daily Burn in the comments section. 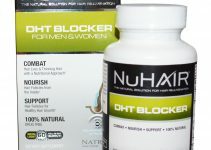 Nuhair DHT Blocker Reviews: Does It Work? Wonder Core Reviews: The Best Ab Machine For Home?